Alsco Locker Systems are necessary for all New Zealand workplaces that want to remain neat and organised. The Soiled Garment locker is just the thing you need for storing used uniforms. 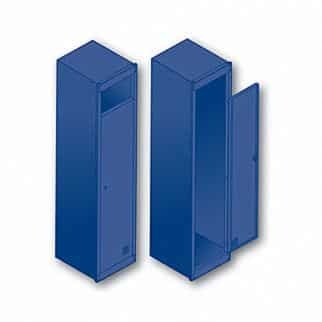 This soiled garment locker goes with infill panels made with steel that fills the gap between lockers and walls. Worry no more about dusting as this locker features sloping tops that prevent the dust settling. Raised plinths with off the floor enable easy cleaning and flush end panels leave the cleaner end on the floor. We also have the wide 3-point locking Large Soiled Garment Locker that will let you store more unclean uniforms. The infill panels are made of high-quality steel that fills the gap between lockers and walls. Raise plinths with 150 mm off the floor for easy cleaning.